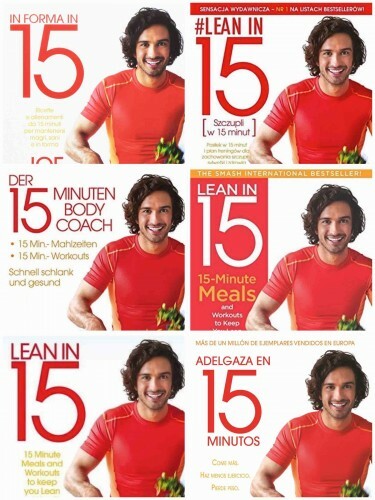 Joe ‘The Body Coach’ Wicks has replaced himself in the Official UK Top 50 number one spot, with his debut Lean in 15 usurping third title Lean in 15: The Shape Plan. Yet to drop out of the top 50 after 55 weeks on sale, the million-copy bestseller shifted 17,252 copies to claim its 10th number one. Though Wicks’ debut topped The Hairy Dieters: How To Love Food and Lose Weight to become the bestselling Health, Dieting & Wholefood Cookery book of all time last July, last week it leapfrogged Gillian McKeith’s You Are What You Eat - categorised under Fitness & Diet in the Lifestyle category, rather than Food & Drink - to become the bestselling diet book since records began.